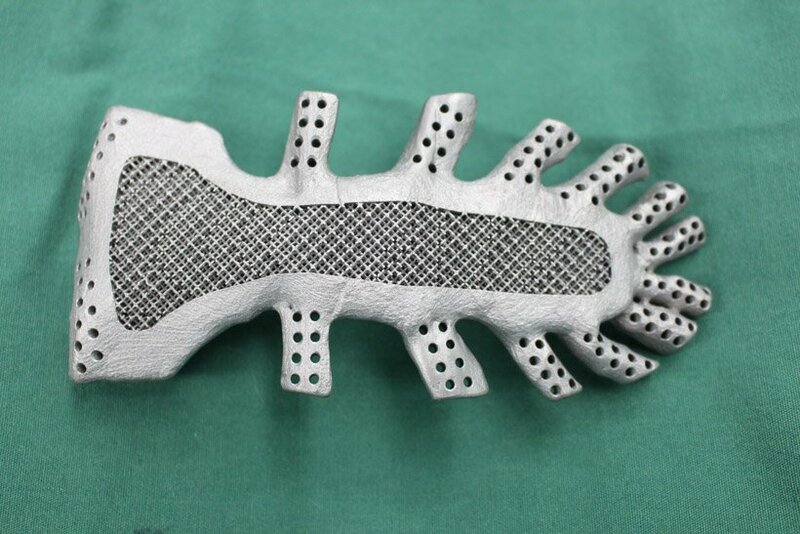 A woman in China just received the world’s first 3D printed titanium sternum implant thanks to a team of innovative doctors at the Tang Du Hospital, Fourth Military Medical University. Ms. Gu was having chest pains and was diagnosed with a massive tumor growing on her sternum. 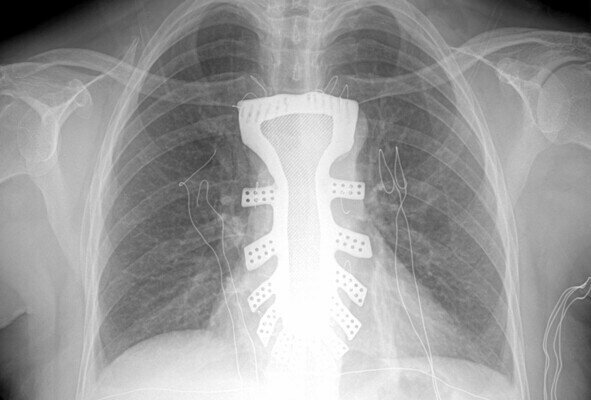 The doctors decided that they must remove the sternum, but that would place Ms. Gu in serious risk for the rest of her life. So, the doctors decided to use 3D printing to create new new sternum implant for the woman, however, there was only one problem. Ms. Gu’s sternum was seriously damaged by the huge tumor. To make the titanium replacement sternum, then, doctors combined information gathered from Ms. Gu with measurements of other women her height, age and size. The result was a durable “heart protector” and a first for the medical team. Thankfully, Ms. Gu came out of the surgery fine and has praised her medical team’s high-tech solution.